The genus Eucalyptus makes up nearly ¾ of Australia's total number of plant species. The medicinal properties of the oil were most likely first discovered by the Aborigines, the native inhabitants of Australia. The genus name is derived from the Greek eu, meaning 'well' and kalyptos, meaning 'cover'. Eucalyptus refers to the well-covered flower buds which are cone shaped and have a lid-like structure that opens as the flowers mature. Aromatherapists and over-the-counter pharmaceutical manufacturers might take the name to mean that Eucalyptus covers well a variety of common conditions. A lofty tree about 90 meter in height with a clean straight bole and smooth bark, peeling off in long strips, rather thick and carved, large flowers, fruit a hardened capsule, seeds very small. 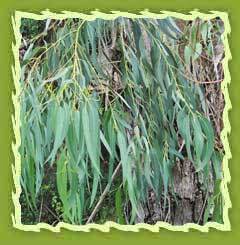 The essential oil is obtained from the leaves and the branches of the eucalyptus tree. The oil is a fine decongestant and has strong germicidal and antibacterial effects. Chemical constituents: Eucalyptus oil has various chemical compounds that include Cineol, pinene, limonene, cymene, phellandrene, terpinene, aromadendrene. Extraction: A steam distillation process is used to extract the oil from the tree parts. Aromatherapists use the oil for energizing and clarifying aroma. Lots of the hundreds of colds and flu preparations available - cough drops, throat lozenges and chest rubs - contain eucalyptus oil and its derivatives. It provides quite natural treatment for respiratory ailments, bronchitis, feverish conditions, the flu and skin problems such as burns, ulcers and wounds. It makes a wonderful balsamic blend for massaging back and chest to fight bronchitis and other respiratory ailments. Aromatherapy applications rely on the activating, vitalizing and energizing actions the aroma of eucalyptus inspires. An activating eucalyptus massage oil is effective for sore and aching muscles. The leaves and oil are especially used for respiratory ailments such as bronchitis, feverish conditions (malaria, typhoid, cholera etc) and skin problems like burns, ulcers and wounds. For wounds and abscesses, the strong germicidal effects of the eucalyptus oil can help heal wounds, burns ulcers and insect bites or stings. It will help loosen phlegm and improve lung functions. Eucalyptus oil is also great for the use in a sickbed environment. The primary active constituent in the eucalyptus species is cineol, which has wide array of medicinal uses. 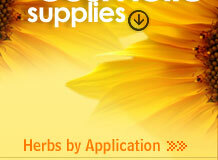 Cineol's medicinal, camphoraceous aroma has antiseptic and expectorant properties. The brisk aroma is energizing. Eucalyptus essential oil is highly antiseptic but also very inexpensive, so it's used specifically in aftershaves, colognes, mouthwashes, and household cleansers. The essential oil of eucalyptus, with its main component eucalyptol, is used in many drugstore products as a liniment for sore muscles, in vapor rubs for lung and sinus congestion, in skin blemishes / oily complexion lotions and creams and in shampoos for oily hair. Many people use either eucalyptus leaves or the essential oil in steam baths and saunas by placing a few drops on the hot rocks so that the scent fills the room. Eucalyptus oil helps to clear minor, non-cystic acne problems or skin blemishes by reducing the oiliness of the skin. Eucalyptus is also an essential component of sauna products. Eucalyptus is a stimulating and refreshing oil that may help restore emotional balance and promote concentration. Cypress oil mostly used in flavor industry in making following flavoured food items:Species of eucalyptus oils that are used in industry contain constituents used in flotation, a process used mainly in the mining industry to separate ore particles from unwanted minerals. The process of separation of crude sulphur ores from the gangue particles is known as Froth Floatation Process. Sulphur ores are immeresed in eucalyptus oil, and high jet of strong air is blown inside with compressor so that a froth is created inside the tank and lighter ore particles floats at the surface and are removed , while heavier gangue particles are left behind. The eucalyptus oil which is most often used in perfumery is eucalyptus citriodora, the lemon-scented eucalyptus. Lemon eucalyptus contains up to 90% citronellal along with geraniol. Both of these constituents are primary fragrancing compounds in the perfume and cosmetics industry. Such a high percentage of citronellal in one botanical source makes its extraction very cost-effective. It is an important fragrance ingredient in the blending of essential oils. It is used in making deodrants for men due to its balsamic odour.